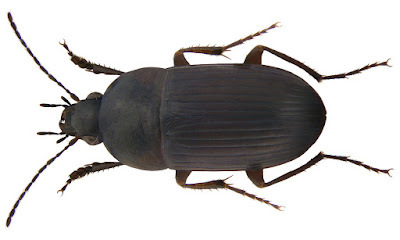 Male Oodes helopioides, copyright U. Schmidt. 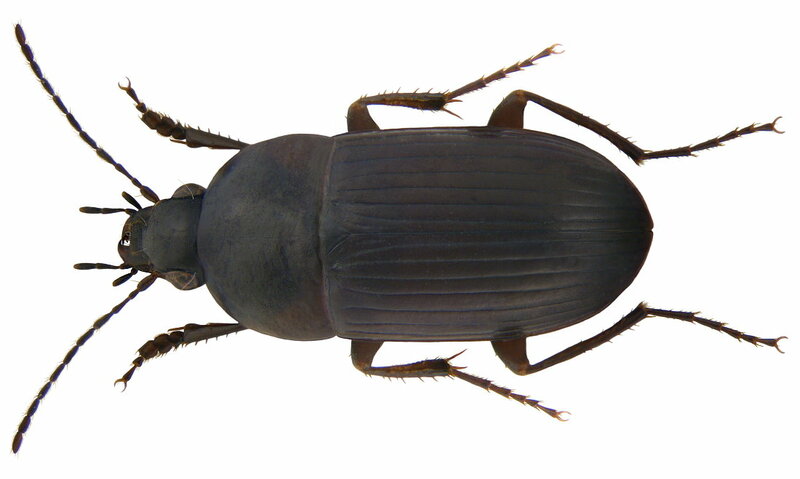 The Oodini are a group of ground beetles characterised by a twisted fold near the apex of the elytral epipleura (Bell 1990). Characters (from Bell 1990): Mandibles usually pointed, not strongly curved; scrobal seta absent. Eye usually large; one orbital seta over each eye. Pronotum more or less flattened, broadest at or near base, basal impressions scarcely evident. Elytra glabrous; stria 8 much deeper than stria 7; interval 9 narrow, careniform; epipleura interrupted by twisted fold near apex. Metepimeron visible as scale-like structure overlapping abdominal sternum I at side.